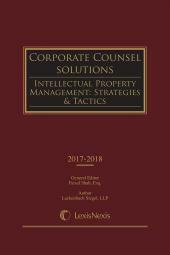 This one volume publication is a practical resource for corporate counsel, who need timely, easy-to-find and practical information on matters pertaining to a companys intellectual property assets. 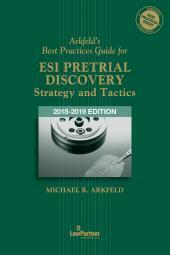 Issues including cybersquatting, IP licensing, patents and copyright and trade secret protection are covered with explanations of the practical effects of owning and enforcing the various forms of intellectual property. 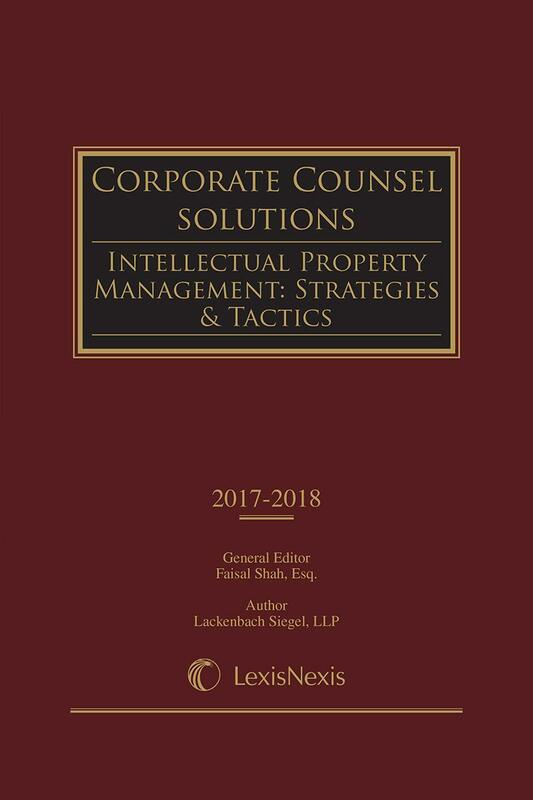 This Corporate Counsel Solutions volume provides practice insights including warnings, practice tips, additional resources and checklists and forms that will save corporate counsel research and drafting time. Faisal Shah is a former partner in the Los Angeles office of the global law firm of Pillsbury Madison & Sutro LLP (now known as Pillsbury Winthrop Shaw Pittman LLP) where he advised clients on commercial and business restructuring matters and disputes including obtaining security interests in intellectual property assets. 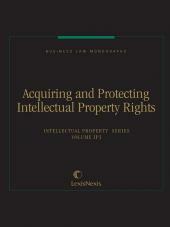 Subsequent to that, he was Executive Vice President and General Counsel of Richardson Labs Inc. where he established programs for the identification, management and protection of the company's intellectual property assets in all of its forms, including patents, trade secrets, trademarks and copyright. At Richardson Labs Inc, Mr. Shah handled a wide variety of corporate transactions and intellectual property licensing and litigation matters, including the eventual acquisition of the company by Rexall Sundown, Inc, a publicly-traded company. In addition, Mr. Shah counseled the company with respect to advertising and marketing claims under DSHEA and the FDA, as well as Internet law issues. Subsequent to Richardson Labs, Mr. Shah founded MarkMonitor Inc, an international intellectual property brand protection company. As the founder and initial CEO, Mr. Shah initially managed the company's intellectual property asset portfolio and supervised the company¿s branding, advertising and marketing strategies. In addition, Mr. Shah has worked extensively in the domain name industry and has assisted numerous companies in the protection and management of their domain name portfolios. Mr. Shah is a member of the American Bar Association and the International Trademark Association (INTA) Internet WhoIs subcommittee as well as the ICANN Registrar and Intellectual Property Committees. Mr. Shah is currently the CEO and Chairman of FTF Technologies Inc., a patent document management and storage company that provides comprehensive patent management solutions to companies and law firms worldwide. Mr. Shah holds a B.S. in Marketing from the University of Colorado and a J.D. 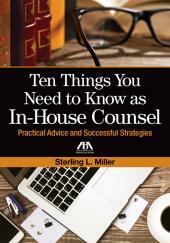 from the University of San Francisco School of Law. 2.01 What is a Trade Secret? 2.03 Who Owns a Trade Secret? 3.03 How to Select a Trademark? 3.10 They Didnt Stop - What Do I Do Next? 3.13 Conflicts: Inter-Partes Proceedings in the U.S.P.T.O.